It is with great pleasure we announce Rochele Painting as an official Brisbane Youth Service partner for 2018/19. 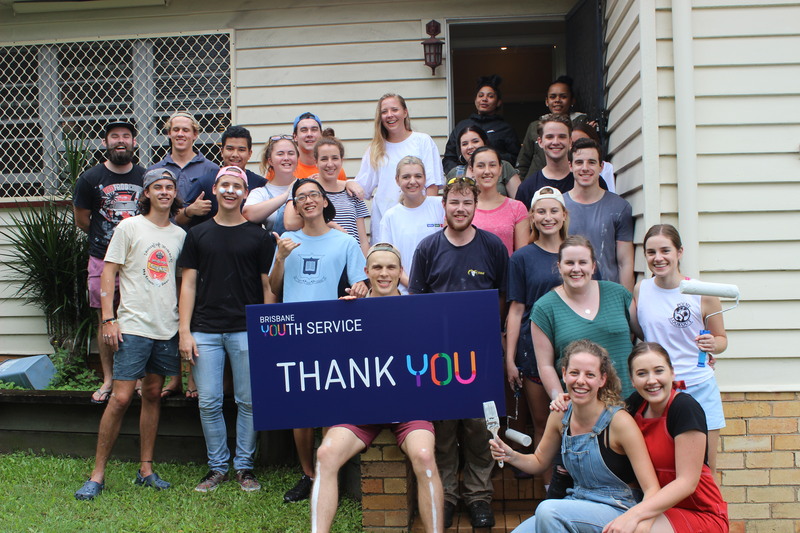 As part of their Painting with Purpose initiative, Rochele Painting have committed $20,000 in-kind to Brisbane Youth Service over the next 12 months. Rochele Painting will work closely with BYS to provide free painting services for housing managed by BYS. This generous commitment allows BYS resources to be freed up to extend our reach and impact in our work with young people. It will also enable us to ensure that BYS housing is maintained appropriately and offers a welcoming environment to vulnerable young people. Painting with purpose is a community goodwill project created by Rochele Painting. They’ve committed to spending $30,000 (ex GST) per annum on painting projects that benefit people impacted by chronic illness or financial hardship. It is their belief that by adding a bit of colour to a living area or workplace they may brighten the lives of those who need it. Our friends at Rochele Painting previously very generously donated all the paint and equipment needed to makeover this BYS managed house as part of their ‘Painting with Purpose’ community project. Time volunteered free of charge and in-kind gifts like these mean more of our funds can go directly toward helping young people.